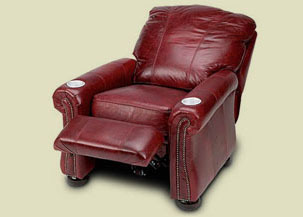 Our most robust, full-bodied home theater recliner, Rialto is right at home in a wide variety of theater venues. From “Way Out West” to the Rocky Mountains, to that librarian-like smoking jacket setting – Rialto combines our most striking chair design with our most plush theater seat to bring you a home cinema recliner unlike any other you’ve ever experienced. 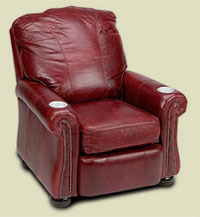 Rialto is not a wall-hugger mechanism and require 17” for clearance for full recline.